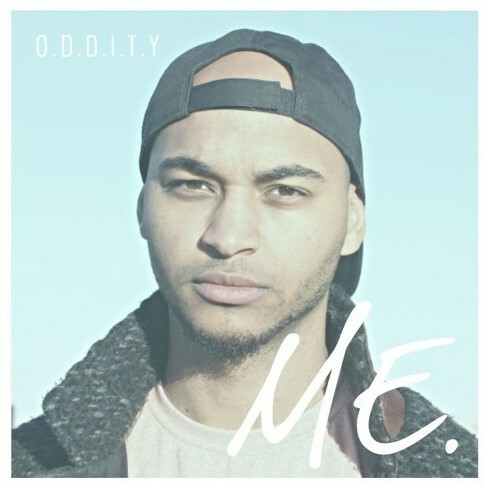 Indy-Based Rapper O.D.D.I.T.Y Impresses on Debut, ME. The more time I spend going to shows and otherwise being involved with the Indianapolis music scene, the more I realize how grateful I am to be as immersed in it as I am. It seems almost weekly that I’m finding stellar local artists, though more often than not those artists tend to be of the hip-hop variety. One such artist is O.D.D.I.T.Y—I came across his music at a Books & Brews here in town last fall and was immediately taken by his passion for, and authenticity of, his craft. Fast forward six months and countless memorable live performances later, and O.D.D.I.T.Y has expanded his following to a sizable audience, many of whom don’t even consider hip-hop their go-to. And with numerous collaborations in the works, but most importantly, the release of his debut EP, ME., which just dropped in mid-April, he doesn’t look to be easing up on the gas pedal anytime soon. My biggest takeaway from O.D.D.I.T.Y’s debut proper is the quality and authenticity of his compositions. It is evident that every single line in his songs is written straight from the heart, which all work together to give the listener a glimpse into his life story. He often touches on his experiences growing up, from the constant change that occurred with his family (“Slows Down”) and the impact that had on his and his brother’s lives (“Can’t Lose”) to being biracial and brought up in the city (the EP’s title track). In addition to these more unique personal experiences, O.D.D.I.T.Y tackles more external subjects, be it fakeness on “Vibe With Me,” the irony of haters-turned-supporters on “Right Now,” or the double standard pertaining to women in today’s society on “Caution Tape.” As if his lyricism isn’t enough, ME. is teeming with phenomenal wordplay throughout. I could write an entire article about O.D.D.I.T.Y’s use of wordplay alone, but I still don’t feel like I’d be doing it justice. In fact, I would argue that is how I feel about this EP in general as well. What about the music though? Musically, it’s hard for me to even feel comfortable classifying ME. as a hip-hop album, as it feels much more varied. “Slows Down” for instance opens the record with a guitar intro that has almost a Spanish flair to it, before kicking into a smooth, funky groove driven by a clanging drum and bassline. However, “Caution Tape,” its immediate successor, embodies a decidedly more indie rock vibe, thanks to the stellar guitarwork. This guitarwork resurfaces later on in a more Southern light on “Vibe With Me,” which at points feels quasi-country. Even the more traditionally hip-hop-sounding tracks are more complex than one would expect, such as the sonic dichotomy on lead single “Losin’ Focus,” or the island-like vibe of “Hundred.” O.D.D.I.T.Y even changes it up vocally, often opting to sing on many of his hooks, which isn’t always a good thing for some rappers, but with a singing voice as well-trained as his, it feels like the perfect fit. Lastly, and perhaps most impressively, O.D.D.I.T.Y selects the perfect collaborators to help bolster his already-stellar cuts. A good collaboration can make a hip-hop record and take it to a whole other level, while a bad one can tarnish any semblance of “good” that already existed on the track and ruin the whole thing. On his debut, each of O.D.D.I.T.Y’s collaborations make perfect sense, whether that’s Allison Victoria complementing his singing with some of her own near the end of “Hundred,” trading bars with Diop on “Right Now,” or bringing in his younger brother Rhetoryk to rap about their upbringing on “Can’t Lose,” none of these features feel the slightest bit forced. The EP’s title track is the best possible way to close things out. A vibey beat and vocal effects set the table for arguably O.D.D.I.T.Y’s most biographical cut yet, which bears some of his biggest lifetime struggles. If there’s one track that best sums up the EP, it is this one, which ends with a call to “spread love, spread hope”—I can’t think of a better way to tie things up. As a whole ME. feels too mature to be a debut effort, yet that’s exactly what it is: a debut. If this is what we’re starting from with O.D.D.I.T.Y, it’s tough to imagine what he could cook up to top ME., but with someone as talented as he is, I fully believe it’s possible—no, probable.